The Foundation for the National Institutes of Health (FNIH) Biomarkers Consortium will use Caprion Biosciences’ CNS ProteoCarta MRM biomarker panel in a collaboration designed to enable development of targeted therapies for Alzheimer's Disease (AD) by improving how progression and treatment response are monitored. The collaboration, called the Cerebrospinal Fluid (CSF) Proteomics Project, is intended to track the early progression of the memory-robbing ailment by changes in protein concentration over time in patients with Alzheimer's and mild cognitive impairment (MCI). Researchers will use ProteoCarta, a mass spectrometry-based platform marketed by Caprion’s proteomics division of the same name, to measure five potential biomarkers in samples of CSF collected over three years or longer from more than 200 patients. The 200+ will include patients with Alzheimer’s or MCI and healthy controls from participants of the Alzheimer's Disease Neuroimaging Initiative (ADNI). ProteoCarta will also be used to measure more than 140 additional protein markers, many of which have been associated with Alzheimer’s or other central nervous system diseases. The ability of the biomarkers to accurately track natural disease progression at the earliest stages by illuminating important changes in the brain will be assessed by correlating biomarker changes to imaging and clinical data, Caprion and the FNIH said. The project will take 18 months to complete and all results will be made available to the research community, according to the FNIH. According to Caprion, the five biomarkers could facilitate the development of targeted Alzheimer’s therapies, and were selected based on their performance in the dataset from a previous FNIH Biomarkers Consortium project. The AD Targeted CSF Proteomics Project, completed in the second quarter of 2015, was the second part of a multi-phased effort in which samples collected by ADNI were used for qualifying multiplex panels in both plasma and CSF. 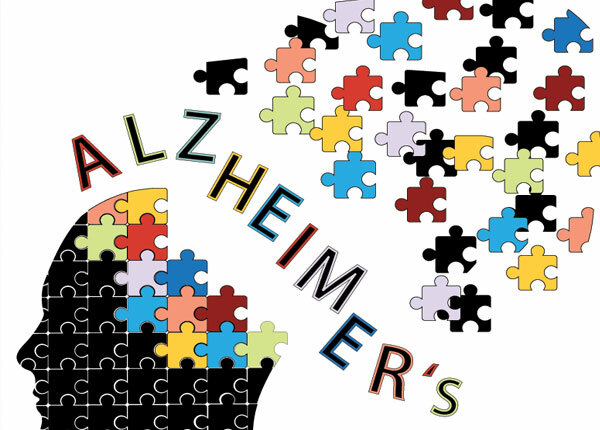 The project’s goal was to identify biomarkers for diagnosing patients with Alzheimer's and monitoring disease progression. Joining Caprion and FNIH in the collaboration are the NIH’s National Institute on Aging and National Institute of Mental Health; the FDA; Genentech, a member of the Roche Group; Johnson & Johnson’s Janssen Biotech; Lundbeck, Merck & Co., Takeda Pharmaceutical, the University of Pennsylvania, and the Yale School of Medicine.